Quinton was diagnosed with ADHD and autism during preschool. Though he received special services to help him with his disabilities, he developed more challenging behavior in first grade. Seeking additional support for their son from the school, Quinton’s parents met with his school’s teachers and assistant principal to develop a behavioral intervention plan. Sadly, the plan was never implemented. Instead, the school’s special education teacher indicated that she needed to restrain Quinton to prevent his hyperactivity from disrupting other students. Quinton’s parents assumed this meant that the teacher might be placing a hand on Quinton’s shoulder or elbow to redirect his activity. It wasn’t until his mother, Marcia, noticed red marks on her son’s back that she learned that “restraint” meant that Quinton’s arms were being crossed over his chest and held by two adults, who then lifted him and carried him out of the classroom. At times, he was shut in a room, the door closed held from the other side, while Quinton cried, screamed, and banged on the door. When Marcia called the school to demand the use of such restraint be halted immediately, the school principal explained that restraint would be used when necessary by a trained staff member, in accordance with Wisconsin’s Act 125. Though the principal indicated incident reports were available to Quinton’s parents, they were denied access to these reports for several weeks. Marcia began to research Act 125 and learned that the school was not following the letter of the law. Quinton did not present a clear risk to physical safety, as the law stipulated. No IEP team meeting had been called and there was no incident report available within two days. DRW staff worked with Quinton’s parents at mediation with their son’s school district, which agreed to put practices into place that went over and above those required in Act 125. 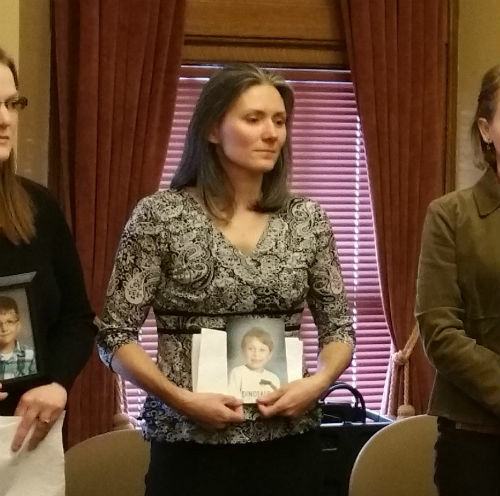 And while the eventual outcome was a positive one, Quinton’s story clearly illustrates the need for greater clarification, oversight, and reporting on the use of seclusion and restraint on Wisconsin’s children.